In the 1980s, Fred D'Alessandro was working as a broadcast engineer when he observed that TV stations were starting to outsource more of the work he and others were doing in-house. This observation led to the launch of a company called DSI Communications, which was originally comprised of a group of partners, each of whom claimed a separate expertise. Later, as technology continued to evolve, the broadcast television expert D'Alessandro spun off his share of the business, and in 1993 hung out a shingle under the name DSI Video Systems. As it turned out, that was just another step in a the progressive evolution of a technology-driven company. A few years after DSI Video Systems was founded, the sales group pitched CEO D'Allesandro on expanding, leveraging the discipline it had forged in the broadcast integration market. Next, the company started taking on advanced AV systems, satellite uplink/downlink, RF, and fiber-optic network projects. This shift in focus made necessary a name change, and "Diversified Systems" still fits today, if the company's recent high-profile work is any indication. Not only is Diversified Systems upgrading broadcast stations for the transition to high-definition, it's installing HD broadcast capabilities in less-likely locales, such as the boardroom of the chairman of the Samsung Group, in Seoul, South Korea. Looking back over Diversified Systems' history, COO Kevin Collins observes that the broadcast market's stringent deadlines and its demand for cutting-end technology served as good preparation for any demanding AV or presentation system installation. "If you take a studio offline at a news facility in Chicago," he noted, "whether it's down for 13 days or 13 weeks, it's got to come back up on time." 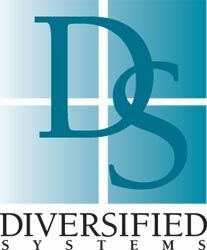 Today, Diversified Systems has offices in California, New Jersey, and Virginia, offering a complete menu of project design, integration, installation, and commissioning services. The firm has occupied the number seven slot in SCN's annual Top 50 Systems Integrators list for the past three years. But with its focus on project management, the company remains agile enough to take on very small jobs-for example, a $5,000 conference room integration project from an existing client. "That's what I call baseline business," explained Collins, who said he's held most of the possible positions at the company during his years there. "It helps make you somewhat recession-proof. I don't want to become the company that must get that next $20 million job every six months." Some of Diversified Systems' projects resemble IT jobs more than AV integration projects. For instance, the company specified a network operation center for Qualcomm in San Diego, a site that harvests local news video from all over and encodes it for delivery to mobile devices. But recently the company's sales group has not had trouble finding those $20 million jobs. Over the past two years, as Diversified Systems' revenue has increased and the employee roll has extended, the number of jobs that the company has completed has dropped markedly. Collins confirms the conclusion that simple math dictates: Jobs are getting bigger. "It's a simple thing to look at," he said. "It's all about a mix of clients; for example, would you rather do $10 million of business with 100 different clients, or would you rather do it with one or two?" Of course, most stadium and arena jobs aren't quite that big. "Typically a stadium or arena for us is in the $2 million to $4 million range," Collins said. With every move into a new area of the industry, Diversified Systems hires new employees. "I have an eclectic mix of disciplines in our engineering and project management groups," Collins said. "People who came from the IT industry, archtiects, broadcasters-and then AV/presentation-type designers." New employees quickly learn Diversified Systems' unique corporate culture. According to Collins, it's a team atmosphere, one where complacency is not tolerated. "If you relish a challenge and participating in cutting-edge projects, then you love working here," he said. Maintaining that corporate culture is a natural check on the company's growth. To open up a new office, for instance, Collins says Diversified Systems follows an organic growth model that requires the company to have existing business in the new location, and just as important, high-quality new employees that have already proved themselves.